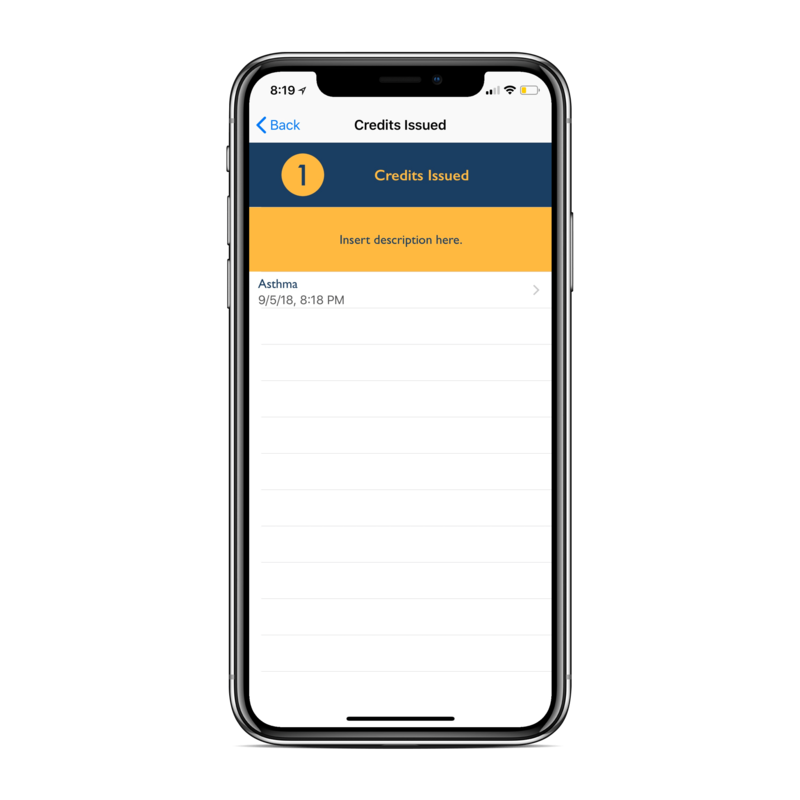 The CE Vault is designed to make keeping and finding your credits a breeze. The vault is free to use and is compatible with certificates from any provider. Use the Vault for Free Forever! No Purchase Necessary. 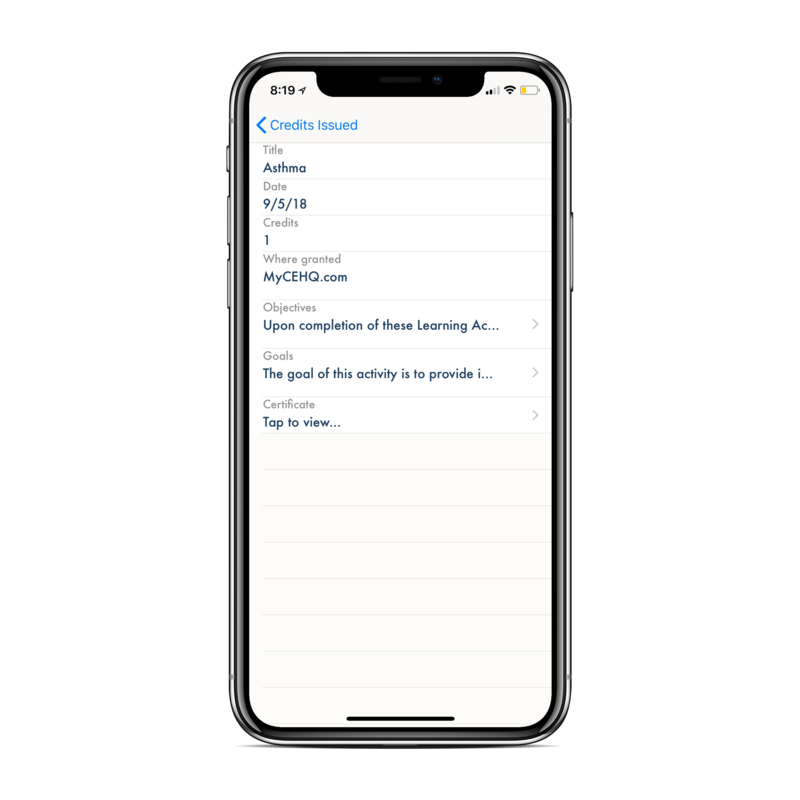 End the search for your CE certificates with the CE Vault, an in-app utility that securely stores all your CE certificatesin the cloud, including those from other education providers. 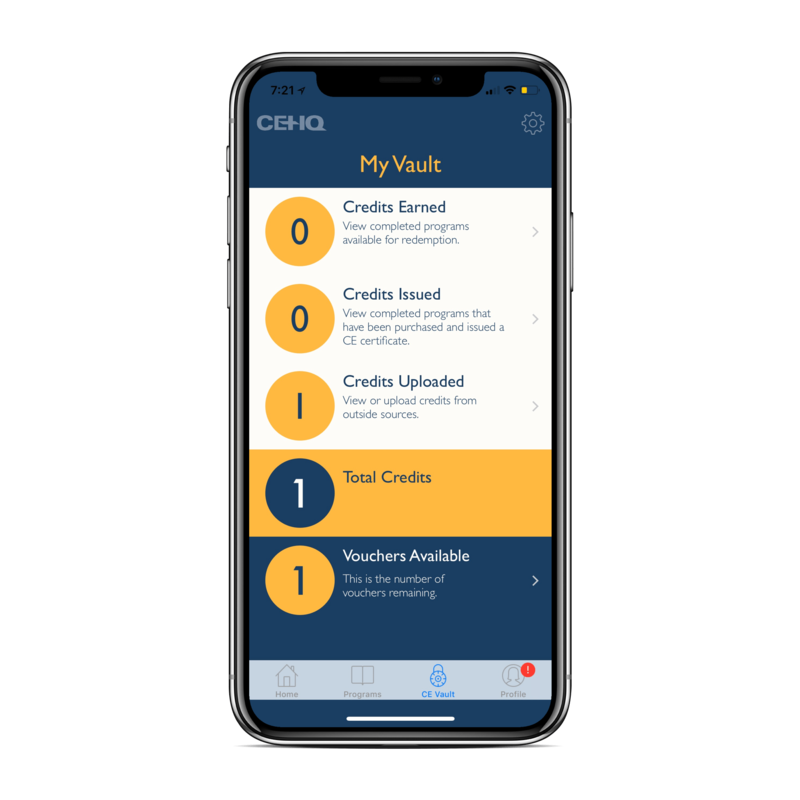 CE certificates that you earn through the CEHQ app are automatically stored in the CE Vault for you. To view saved credits simply click on the “CE Vault” from the dashboard. Then, click on “Credits Issued”. Any certificate earned from CEHQ will automatically appear here. To add credits from another provider, you simply press “Credits Uploaded” and fill out the information. 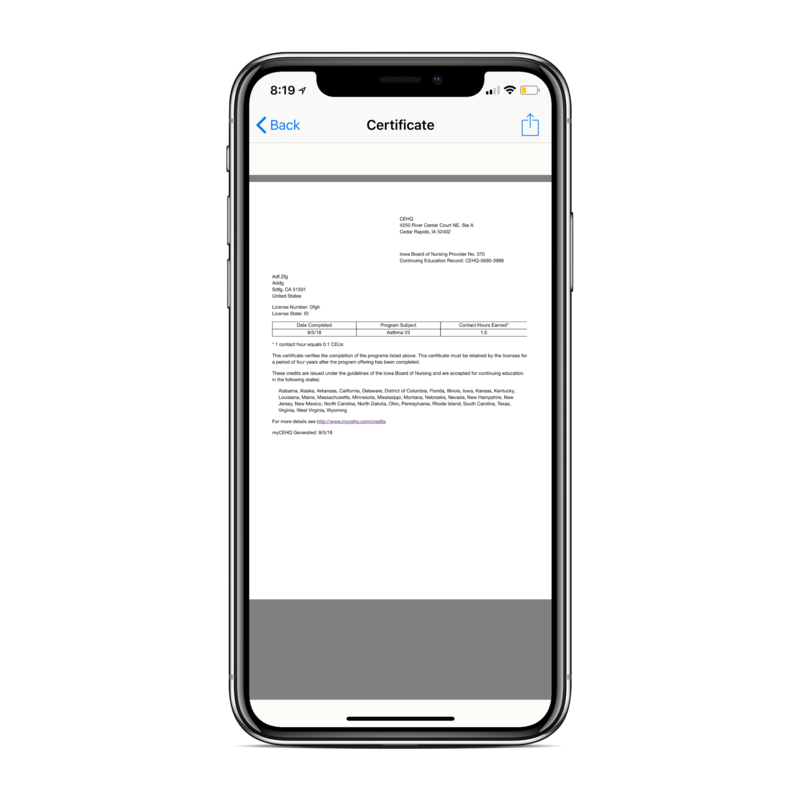 You can also take a picture of a certificate or upload an image.